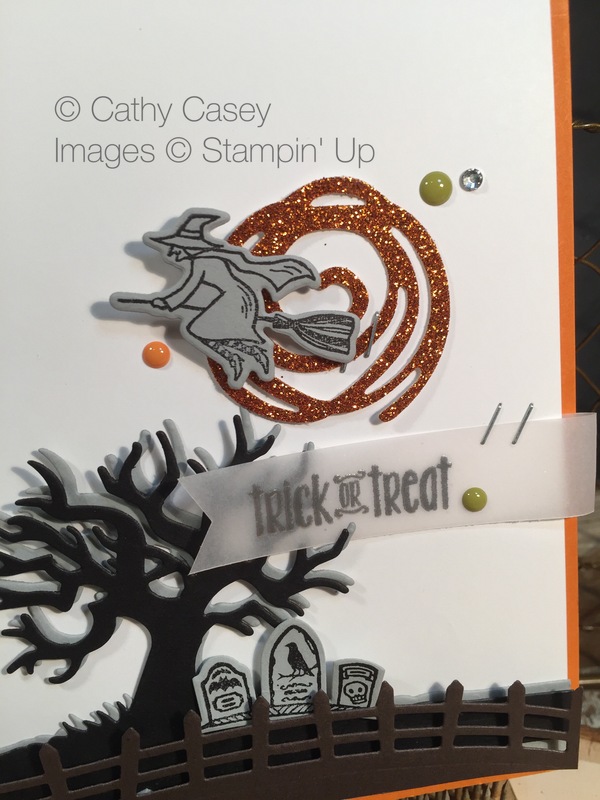 First steps for this card are die cutting several different pieces with the Halloween Scene Edgelits: the fence is die cut from Early Espresso, the tree is die cut twice – once from Basic Black and one from Smoky Slate. The tree is then layered with the Smoky Slate behind to give the tree some extra dimension. I love how this looks! 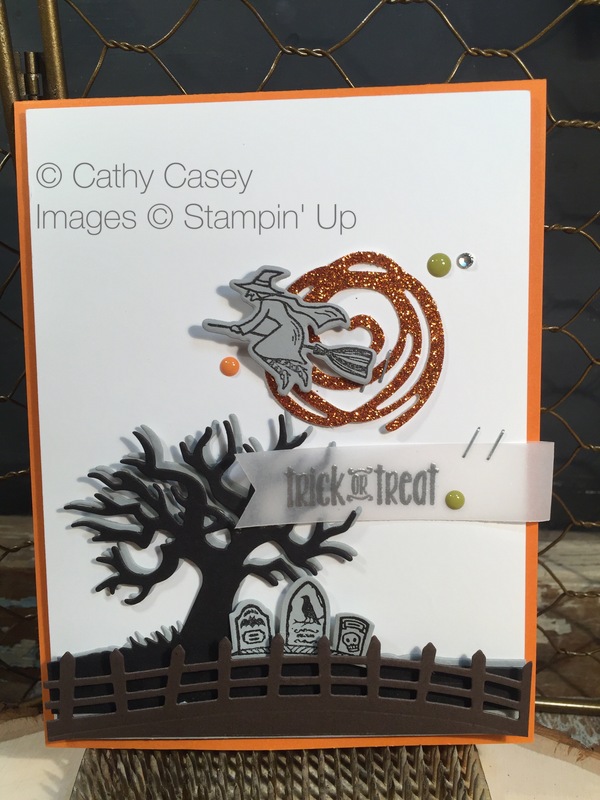 The tomb stone image and the witch image from Spooky Fun are stamped on Smoky Slate and die cut with the Halloween Scene Edgelits. All of these die cut pieces are layered on the card front as shown in the pic using glue dots and dimensionals to give extra dimension to the card front. The tomb stones are placed just behind the fence under the tree. The swirl is cut from Pumpkin Pie Glimmer Paper with the small swirl in the Swirly Scribbles Framelits. The sentiment is silver embossed on velum and layered over the tree branches. I love that you can see the shadow of the branch under the sentiment banner. Final touches are popping that cute witch on top of the sparkly swirly and adding some Halloween Night Enamel Dots. The finished card front is added to a base of Pumpkin Pie card stock. I hope you are inspired by my spooky card! 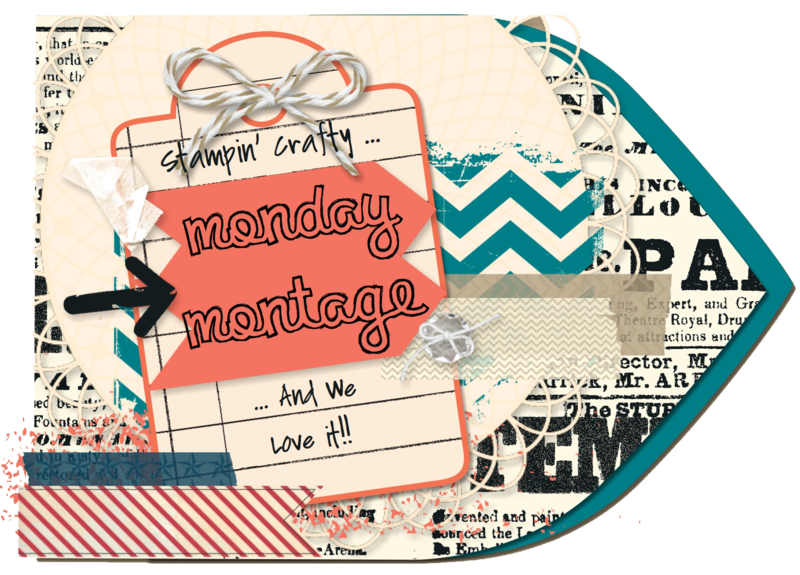 This entry was posted in 2013 Artisan Design Team Finalist, Big Shot, Cards, Framelits Dies, Stampin' Up, Thinlits Dies and tagged Halloween, Halloween Edgelits, Spooky Fun, Stampin' Up by kate80132. Bookmark the permalink.